Sometimes products can be kind of like that. You try one product​ and have a good experience with it, so you decide to try out another member of the "family". And guess what? Another positive experience! I was so impressed that I wanted to check out some of the other members of the Berkey family of water purification products. Next I tried the Berkey shower filter and then the Sport Berkey water bottle. It didn't take long for me to become a fan of all things Berkey. I've already written about some of the Berkey products on my blog. 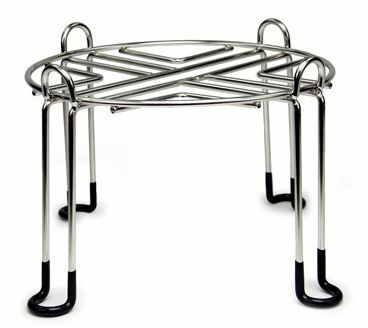 But in this post I want to introduce you to all the great products made by Berkey. So come along, and meet the Berkey family. One note before we get started - for each of the products, I've included links so you can check the price at both Amazon and Berkey Filters. The prices can fluctuate, and sometimes there are special deals that run for a limited time. That's why I don't post prices. It's easy enough to find out what they are, though. Just click on the links. Without a doubt, the best known Berkey offering is their stainless steel countertop water filter. In fact, that's the first Berkey product that I bought. There are five different sizes of the Berkey filter to accommodate small to large groups of people. They all come with two black Berkey filters, which remove or reduce an amazing array of contaminants from the water, including lead, viruses, bacteria, trihalomethanes, pharmaceuticals, and chlorine. Each black Berkey filter is good for 3,000 gallons, so that means you can filter 6,000 gallons of water with one pair of filters. That's going to last you a long time. 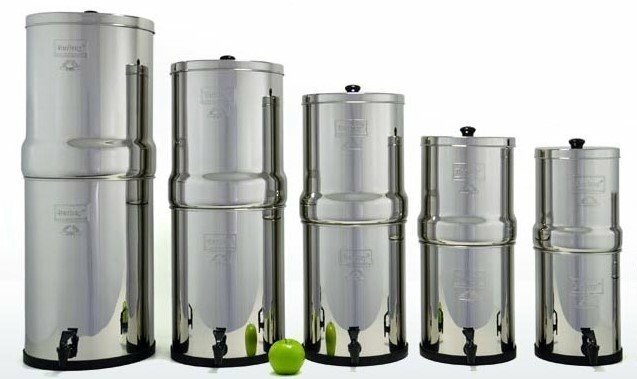 What's really great about Berkey filters is that you can put any kind of water in it except for salt water. You can put tap water in it, or you can dip water out of a pond and put it through the filter, if you want. All of the countertop models are compatible with the Berkey fluoride filter, too. You can read more about that below. So here are the five stainless steel Berkey models, from smallest to largest, along with a few specs. They all look identical except for the size, and they all work in exactly the same way. For my detailed review of the Big Berkey, click here. The Berkey Light is a lightweight plastic version of the stainless steel models, and it works in exactly the same way. And since it's transparent, you can ​easily see the water level to know when it's time to refill it. There are a couple of other differences between the Berkey Light and the stainless steel systems. One is the lid. Instead of stainless steel, this one is made of cloth. Another difference is the built-in stand that makes it easy to fill up a cup of water without having it at the edge of the counter. If you'd like to read my in-depth review of all the Berkey countertop filter systems, please see T﻿﻿﻿he Berkey Wat﻿﻿﻿er Filter Ultimate Buyer’s Guide. Some people don't mind having fluoride in their drinking water. Others want to remove it. One advantage of Berkey water filters is that you have the choice of whether to filter out fluoride or not. The Black Berkey filters that come with the systems don't remove fluoride. But you can buy optional PF-2 fluoride filters that reduce fluoride, arsenic, MTBE, and other heavy metals. 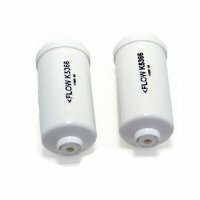 They just screw right onto the bottom of the Black Berkey filters, making it a two-step process. These need to be replaced after 1,000 gallons. That's about every six months for most people. Check the price of Berkey fluoride filters at Amazon here. 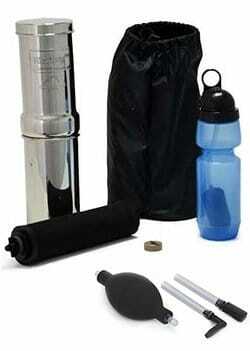 Sport Berkey is a portable filter in a water bottle. It uses the same technology as the Berkey countertop systems, so you know it's effective. I like using it when I travel because I never know what's in the water or how it's going to taste when I go somewhere new. The Sport Berkey makes the water safe to drink and makes it taste great​! 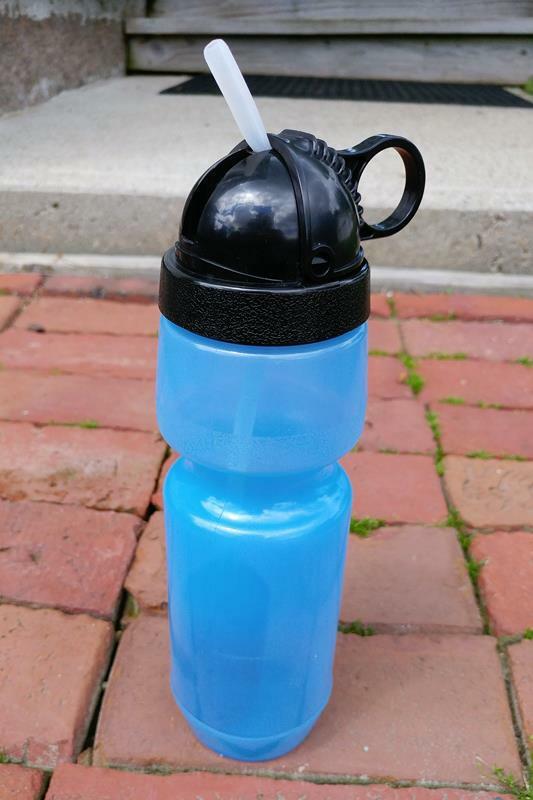 ​It holds 22 ounces of water, and it's good for 640 refills or 100 gallons. That's if you're using treated municipal water. If you're using water of questionable quality - like from a stream - it's good for 25 gallons or 160 refills. 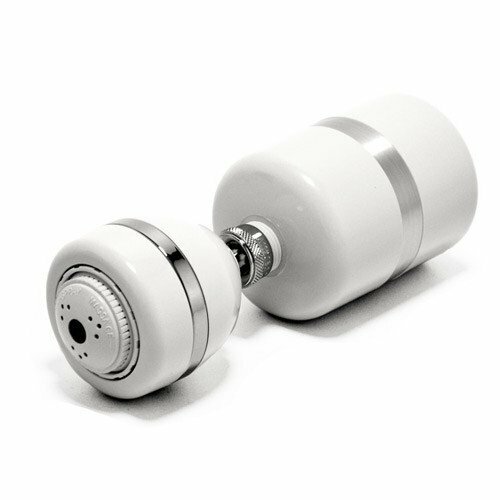 Berkey makes a shower filter that reduces chlorine​, bacteria and odors. It also reduces the growth of mold in the shower. A massage shower head is included, and it's super easy to install. The Berkey shower filter was one of my top four best shower head filters picks. You can read about it in this post. Click here to check the current price of the Berkey shower filter at Amazon. Click here to check the current price of the Berkey shower filter at Berkey Filters. 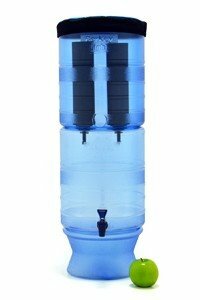 Here's another small portable water filtration system that's great for travel, camping, and emergency preparedness. 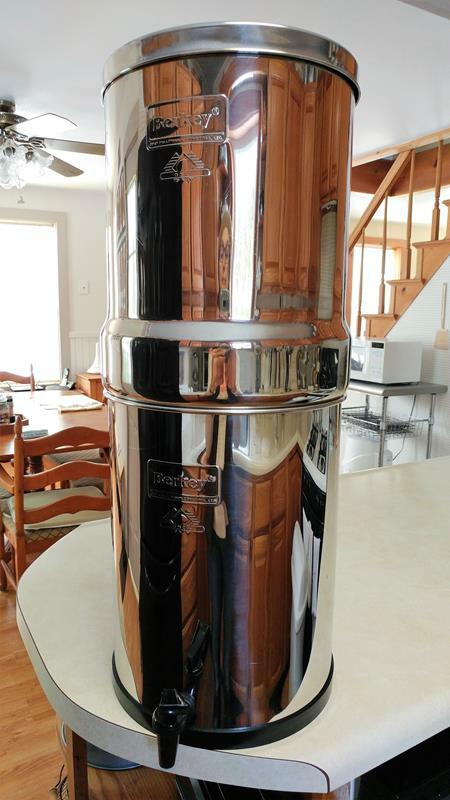 Like the countertop Berkey filters, it's made of stainless steel. But at 2.4 pounds, it's lightweight and easy to take with you. It holds one quart of water, and it can filter up to one gallon of water per hour. 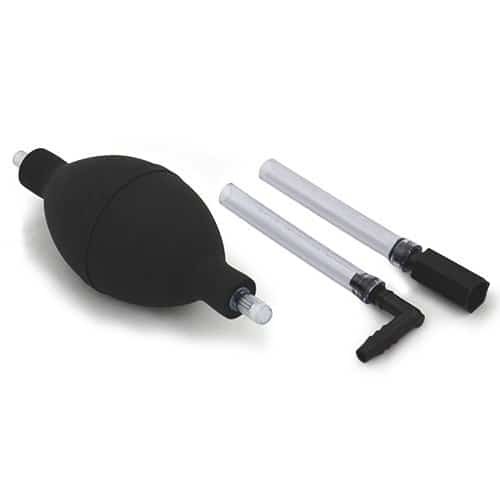 To use it, you put one Black Berkey filter element in the top chamber and then fill it with water. The filtered water drips down into the bottom chamber. It's so small that it can't accommodate a fluoride filter. When you order a Go Berkey, it's actually going to come in a kit. The Go Berkey Kit includes the Go Berkey, a Black Berkey filter, and a Sport Berkey​ water bottle. All that along with a vinyl carrying bag that has compartments to hold everything. And sometimes you can even get it bundled with a Black Berkey filter primer (more details below). Having the primer makes it possible to prime the filter when you're not near a sink. This is important if you're using it outdoors. You can check the price and availability of the Go Berkey Kit at Amazon by clicking here. In this last section, I want to introduce you to some of the accessories that Berkey offers for their filtration systems. None of them are necessary, but they can make your life a little bit easier! The glass Berkey Water View Spigot allows you to see how much water is left in the bottom chamber of the countertop filter. Without it, you have to lift off the top chamber in order to see into the bottom chamber. That can be a bit of a pain in the neck, especially if there's a lot of water in the top. I've lived for 8 years without it, but I've often thought it would be nice to have. Check the price and availability at Amazon here or at Berkey Filters here. 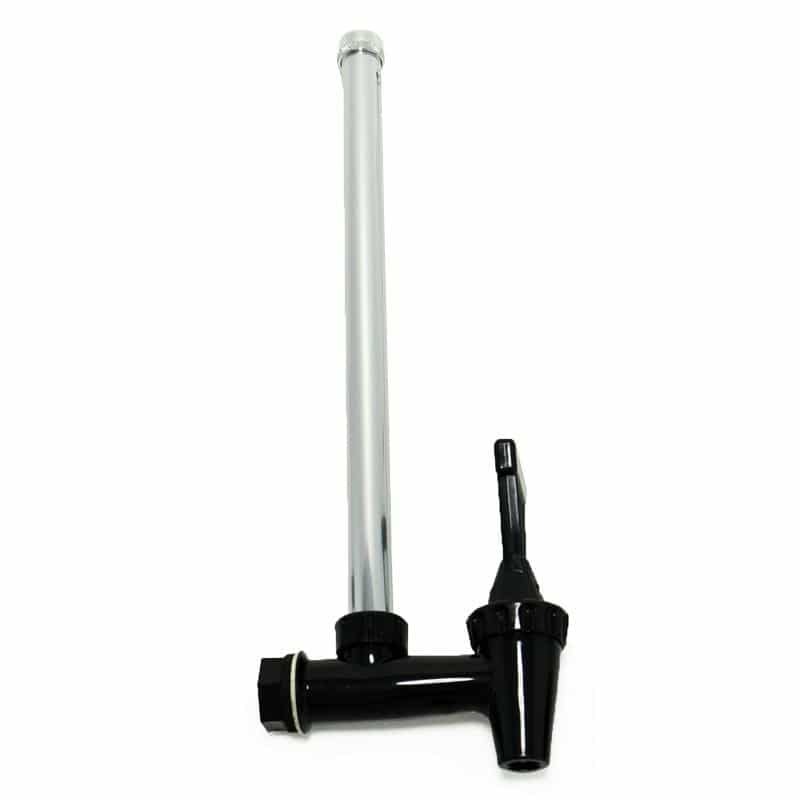 Using a filter stand gives you an extra 6 inches of space to place a cup under the spigot. The Berkey filter stand is made of stainless steel, and it has rubberized feet to keep it from sk​idding across the counter. Again, it's a convenience, but not necessary.​ But if you don't want to have to put your system right at the edge of the counter, you might want to buy one. And if you do, make sure you get the right diameter stand to match your filter. When you buy a Berkey countertop filter, it comes with a plastic spigot. Although it's BPA-free, some people still don't like it. 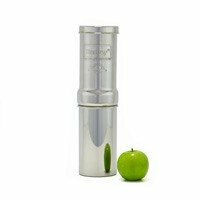 If that's you, you might want to get a Berkey Stainless Steel Spigot. It's made to fit all of the Berkey systems. 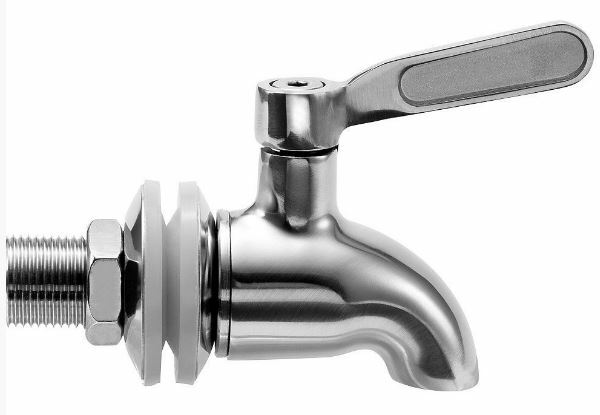 You can check for the price and availability of the Berkey stainless steel spigot at Amazon by clicking here. The Berkey Maintenance Kit is nice to have on hand so you don't have to go scrambling for small parts if you need them. There are separate kits for the stainless steel units and the Berkey Light. Be careful to order the right one. Click here to check the price of the Berkey maintenance kit at Amazon. 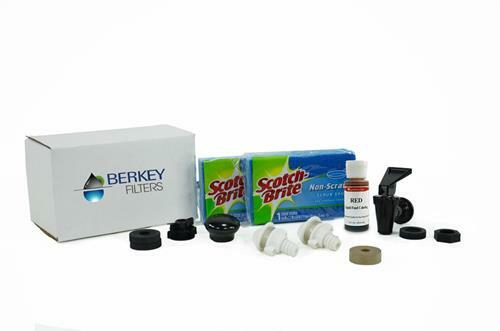 Click here to check the price of the Berkey maintenance kit at Berkey Filters. The final member of the Berkey family is also the newest. The Black Berkey Primer​ was designed to make priming the Black Berkey filters easier and less messy. Before you use the filters, you have to prime them. That involves forcing tap water into the filter to saturate it. I have never successfully ​primed a filter at the sink without spraying water all over myself. It's not very expensive, and it's totally worth it! By the way, the primer can only be used with the Black Berkey filters. The fluoride filters have to be primed the messy way. You can check the price and availability at Amazon here or at Berkey Filters here. ​Well, there you have it - the entire family of Berkey products! I'm pretty sure I didn't leave anybody out. I invite you to check out my other posts on individual Berkey products for more details. To get started, I'd suggest starting with the Berkey Ultimate Buyer's Guide, which you can find here. And if you have any questions about Berkey products, feel free to ask in the comments below and I will do my best to answer.